MTS India, the CDMA Mobile service brand of Sistema Shyam TeleServices Limited (SSTL) today announced Free Service package for Unlimited Free Callings (Local and STD) with in Own Network and Mobile Internet Access (Data Downloads) on the occasion of the its First Anniversary in India. SSTL’s CDMA Mobile services under the brand name of MTS India was launched in India in March 2009 and in less than a year the operator has notched up an impressive subscriber base of more than 3 million. 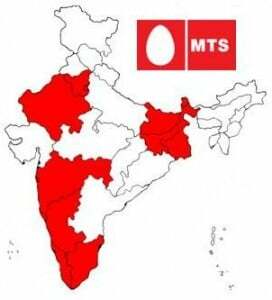 Presently MTS India has operations in eleven circles which include Tamil Nadu including Chennai, Kerala, Rajasthan, Kolkata, West Bengal, Bihar-Jharkhand, Delhi, Karnataka, Haryana, Mumbai and Maharashtra-Goa. With the FREE Service Anniversary Special Package, MTS CDMA Mobile and Data service customers will get Unlimited Free STD and Local calling with in MTS network across India. MTS Data services MBlaze subscribers in all telecom circles of India will get Free Unlimited Downloads from for 24 hours beginning from the midnight of March 26, 2010. Speaking on the launch of Special anniversary celebration Offer, Mr. Vsevolod Rozanov, President & CEO, SSTL said, We are happy to announce the offer of free calling and Free Internet (Data downloads) for our esteem customers in India. The journey so far has been very exciting backed by the support of valuable subscribers. The special package is a humble gesture to honor their trust in MTS”. MTS India also announced that It will be launching CDMA Mobile and Data services in 4 telecom circles by the end of December 2010. The first launch will be in Andhra Pradesh in June 2010, followed by Uttar Pradesh (West), Uttar Pradesh (East) and Gujarat telecom circle. sir ineed mts sim.i went your mts outlets to brought mts sim+hend set but they are unable to provide me no as par my choice. ihave three no 9414651299,9351977299, 9667522955mts now i required 299 (witout using zero)at last.it will be better if last five digit will be 77299.pl give me this no under your unlimited free offer on occassion of first annevarsary of MTS.I can come your outlet which is situated at mahaveer nagar II Kota ineed also the offer of 1 paisa for two sec.pl call me urgentaly on my realince no. Not everything hunky-dory with MTS. I am using it in Kharagpur. Right now the network strength is simply zero. Network strength drops to zero quite often. Service is not reliable.